EURUSD is under the influence of Nonfarm Payrolls and the Fed rate hike. The pair rallied upward sharply on Friday but today it began its downward trend. The support rests at 1.13260 with resistance at 1.13800 which both lines are above the weekly pivot point at 1.12780. The EMA of 10 rose up and passed the EMA of 75. All indicators are signaling price growth; the MACD indicator is in positive territory, the RSI is in overbought zone and the ADX is showing strong buyers. The bulls might push the price up towards the 61.8 of Fibonacci retracement and there might be pullbacks afterwards. 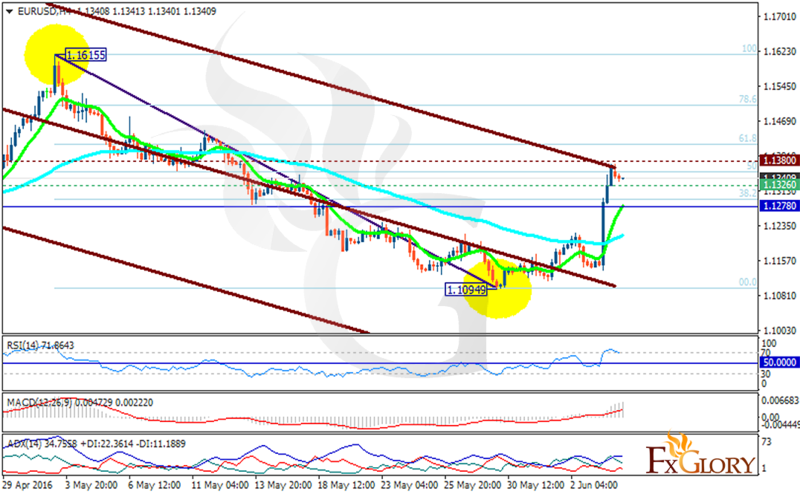 At the moment, long positions are recommended with the target at 1.1450.